The rich, fascinating history of Liberty Coach dates to the Roaring Twenties when a foundry pattern maker landed in the Chicago area from his native Germany. 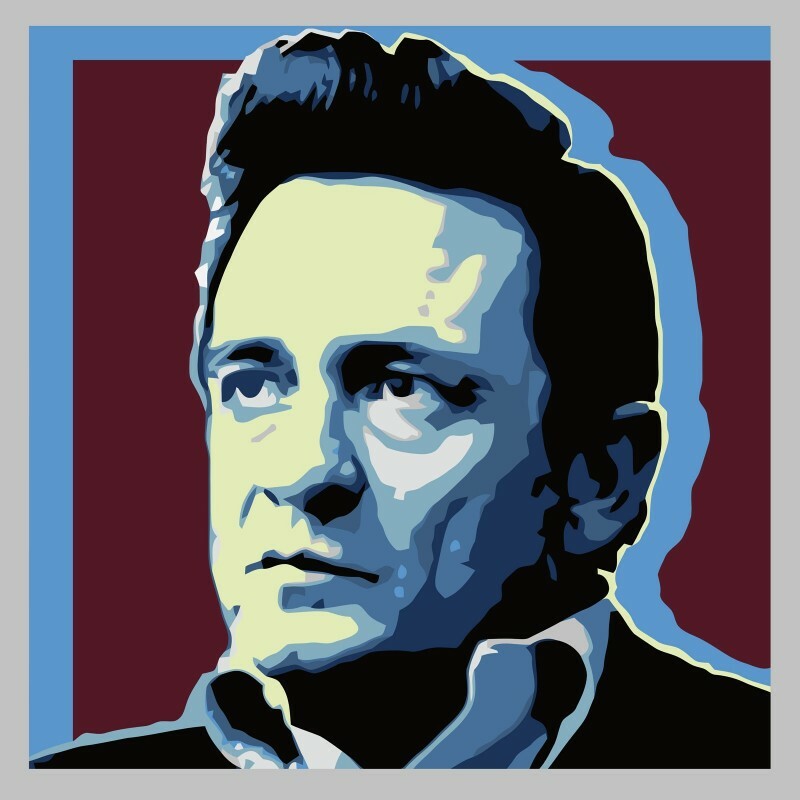 It wasn't long before he'd launched his own aluminum foundry, then built it into a go-to producer. In the mid-1950s, Greyhound Bus selected his company to produce aluminum parts for its coaches, a contract that propelled the manufacturer into the bus conversion business. Late in the next decade, the founder’s son, Frank Konigseder, founded Liberty Coach, the name a homage to his Libertyville, Illinois hometown. Exhibiting his conversions at shows across the country, he ultimately connected with Prevost. That contact led to Liberty turning out a dozen new Prevost conversions in a scant single year's time. The rest, as they say, is history. Today Liberty Coach completes 28 lifestyle coach projects each and every year. And Frank's sons Frank Jr. and Kurt have picked up where their dad left off, taking the family business to new heights as the premier conversion company in North America. Built on a 2018 Prevost H3-45 platform, Liberty Coach's Elegant Lady is acclaimed as the industry's finest conversion coach. Elegant Lady coaches come equipped with ultra-luxurious features, the most up-to-the-minute technology and creature comforts entirely consistent with the high-end estate homes. 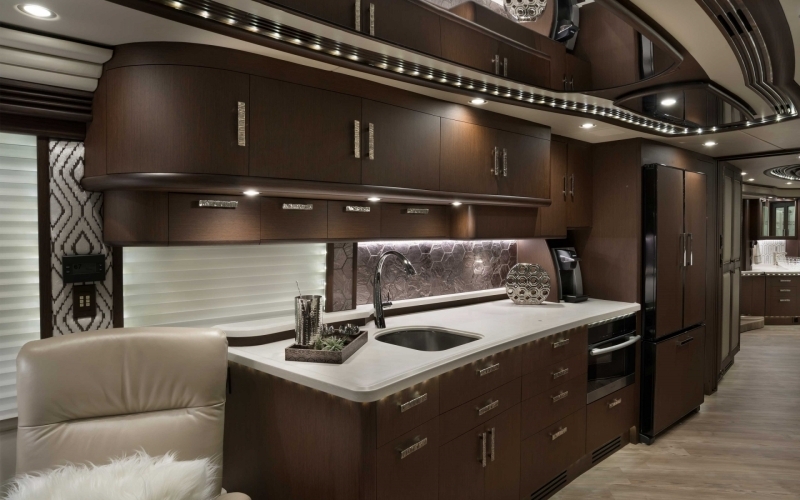 Those touring Elegant Lady motorhomes are instantly drawn to top-of-the-line touches, from a lower-bay entertainment center to state-of-the-art electronics, Tier-4-compliant energy system and ultra-high-resolution 4K LED televisions. Interiors are custom designed to ensure exquisite comfort. Tasteful furnishings and appointments perfectly complement elegant, top-shelf appliances. Bedrooms boast sumptuous upholstery and bedding, while bathrooms are soothing sanctuaries graced by marble showers, tiled baths, and his-and-hers vanities. Those nestled inside find themselves cocooned in ideal comfort. Winter's chill is neutralized by four-zone heated floors, while a tankless water heater generates limitless hot water. The hottest days of summer are comfortably cooled thanks to the quartet of rooftop air conditioning systems. When its features are tallied, Elegant Lady promises to take high-end living along for an unforgettable ride, wherever the road beckons. 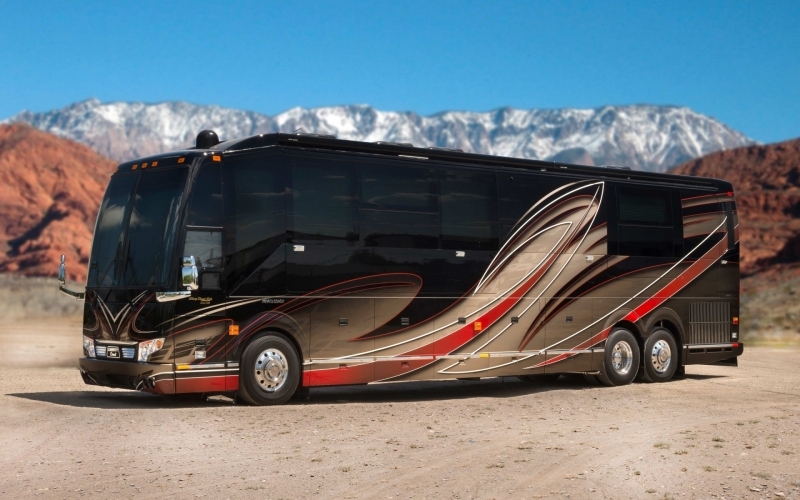 In a typical year, a motorcoach may travel tens of thousands of miles. Along the way, the inevitable bumps in the road can exact an enormous toll on such a large vehicle. That's why Liberty Coach spares no effort in achieving the smoothest, quietest, most reliable ride anywhere on the North American roadway. The company insists on only the highest-end materials and components. 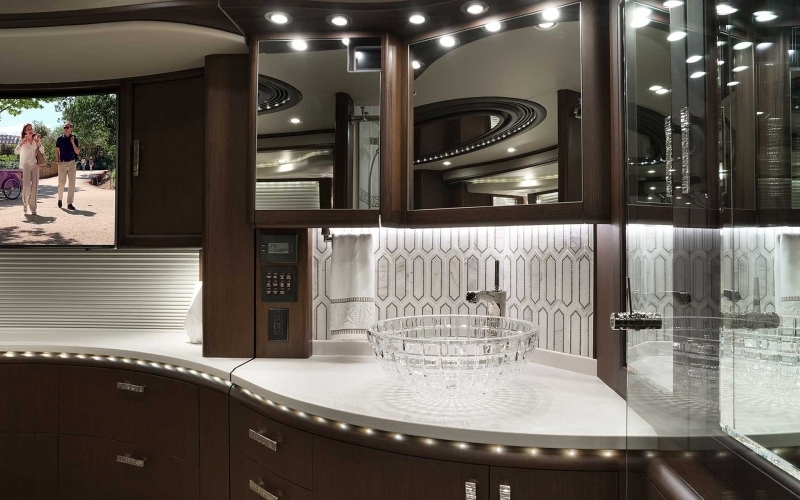 All cabinetry is locked directly to the coach's shell frame, to eliminate any chance of rattles. Coach interiors benefit from ingenious design that assures generous storage space for cargo. Built into each motorhome is a Moritz monitoring and control system, as well as Creston Touchpanels so innovatively incorporated they earned Liberty Coach the 2008 Creston Integration Award. Power is supplied by lithium-ion battery technology that colors operational efficiency a deeper shade of green. The result is a coach that in every last detail is the epitome of smooth, quiet, worry-free motoring, ensuring a carefree lifestyle as endless as the open road. When motorcoach enthusiasts purchase an Elegant Lady, the service and support of Liberty Coach come right along with the package. In the unlikely event customers encounter service concerns, they can gain assistance from the company at industry trade shows staged across the U.S. The 53-foot Liberty Coach Tech Support Trailer and Semi, which journeys to shows and rallies, is on hand to aid Elegant Lady owners with any concerns. In addition, sales and tech staff members can be reached by phone to address queries regarding service matters. Service can also be obtained at two other locations: the North Chicago, Ill. Liberty Coach production center and the company's Stuart, Fla. dealership. In North Chicago, service manager Bill Doherty, a veteran of 37 years with the company, stands ready to address issues. In Stuart, it's manager Troy Moody front and center, backed by a cadre of virtuoso Prevost technicians and a half dozen service bays measuring 60 feet in length. It's all part of an effort to ensure the highest quality motorcoaches enjoy an equally lofty level of support. Few entering a Liberty Coach Motorhome want to leave its sumptuous interior comforts. But when it's time to step out of those plush confines, there's no better place to land than one of the motorcoach resorts that have sprouted across the country over the past decade. Topping the list of such vacation meccas is Motorcoach Country Club. Often termed the “crown jewel of motorcoach resorts,” Motorcoach Country Club in Indio, Calif. lets Liberty Coach owners rest and recharge within a landscaped, sun-drenched paradise nestled amid a quintet of postcard-worthy mountain ranges. There, they can play golf or tennis, enjoy a pampered spa treatment, dine in splendor at an elegant five-star restaurant or simply kick back to enjoy the perfect Palm Springs area weather. After a respite in this spectacular setting, it's back on the road for another adventure. After all, it's not the destination, but the journey that makes life worth living. And what life is more worth savoring than one spent in a Liberty Coach?